LG NeON™2 has an enhanced performance warranty. The annual degradation has fallen from -0.7%/yr to -0.6%/yr. Even after 25 years, the cell guarantees 2.4%p more output than the previous LG NeON™ modules. Compared with previous models, the LG NeON™ 2 has been designed to significantly enhance its output efficiency, thereby making it efficient even in limited space. With its newly reinforced frame design, LG has extended the warranty of the LG NeON™ 2 for an additional 2 years. Additionally, LG NeON™ 2 can endure a front load up to 6000 Pa, and a rear load up to 5400 Pa.
LG NeON™ 2 now performs better on sunny days thanks to its improved temperature coefficiency. The rear of the cell used in LG NeON™2 will contribute to generation, just like the front; the light beam reflected from the rear of the module is reabsorbed to generate a great amount of additional power. 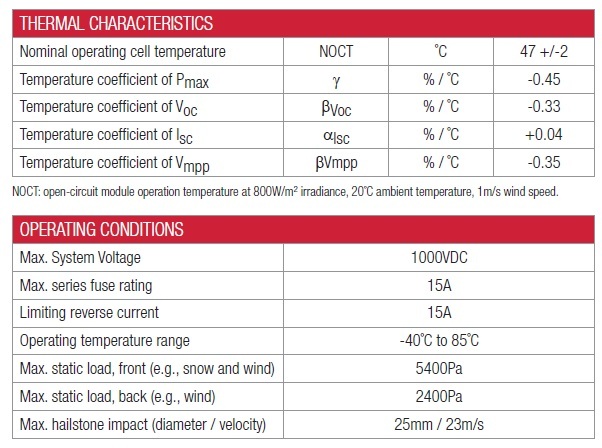 * STC (Standard Test Condition): Irradiance 1000 W/m2, Module Temperature 25 °C, AM 1.5 / The nameplate power output is measured and determined by LG Electronics at its sole and absolute discretion. / The typical change in module efficiency at 200 W/m2 in relation to 1000 W/m2 is -2.0%. • A sturdy, anodized aluminium frame allows modules to be easily roof-mounted with a variety of standard mounting systems. • Sealed, waterproof, multifunctional junction box gives high level of safety. LG Mono X® Plus has an enhanced performance warranty. The initial degradation of cells has -2, and the annual rate of degradation has fallen -0.55/yr. LG Mono X® Plus has reduced the initial degradation of solar cells by applying LG’s new LiLY (LID-improvement for Lifetime Yield) Technology, which controls the reaction of Boron and Oxygen, the main cause of LID (Light Induced Degradation). As well as the enhanced performance warranty, LG Mono X® Plus is covered by product warranty for 12 years. LG Mono X® Plus has been carefully designed, it weighs just 18.0kg(39.69 lb) and has better grips that allow for quick installation. 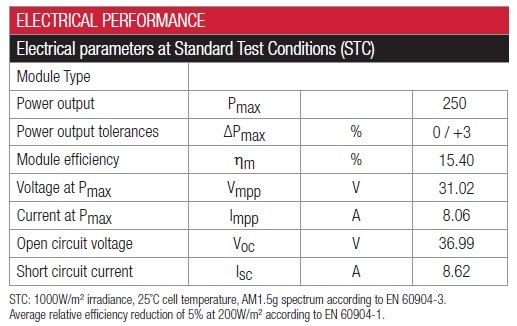 * STC (Standard Test Condition): Irradiance 1000 W/m2, module temperature 25 °C, AM 1.5 / The nameplate power output is measured and determined by LG Electronics at its sole and absolute discretion. They are made in the superstrate conﬁguration using tempered glass, which is specially designed for solar applications. Using the latest silicon deposition technology, we can manufacture different sizes, for different powers and voltages. Serial connections are made with laser process, so no mechanical connections are required. Our panels absorb a wide range of wavelengths, so they generate energy from the ﬁrst sunlight in the morning until the latest sunlight in the afternoon, even on cloudy days. These panels are designed to charge and maintain 12V batteries like those used in cars, boats, caravans, motorcycles, snowmobiles, etc. or small 12V systems as electriﬁcation doors, security systems, etc. Through the energy generated by the panels, the batteries are prevented from the typical self-discharge and are maintained themselves at the optimum charge for when we need to use them. Its capabilities and performance features make them the ideal choice in many occasions. Our amorphous solar panels operate very well in all weather conditions, even on cloudy days or under unavoidable shadows situations. This is especially very useful in not sunny locations or especially rainy climates. These panels are maintenance-free and they are very easy to install. Armed with bypass diodes protection, are made of very strong materials and shockproof shatterproof glass. • Easy: Very easy to use and install, with all kind of connectors included, such as, battery cable clamp, male and female CLA socket and extra cable. Lightweight. Maintenance-free. • Reliable: They charge batteries in all weather conditions. They are weatherproof and shock resistant. Shatterproof tempered glass. • Electrical Connection: Corrosion resistan junction box for more protection. Our modules are delivered with pre-assembled solar cables to enable quick and secure wiring without the need of special tools. • The 20W model: It requires a solar charge controller. Tight positive power tolerance of -0%/W to +3%/W ensures you receive modules at or above nameplate power and contributes to minimizing module mismatch losses leading to improved system yield. Multicrystalline silicon solar cells with low-iron tempered high transmission and textured glass deliver a module efficiency of up to 15.4%, maximizing the kWh output of your system per unit area. • Modules independently tested to ensure conformance with certification and regulatory standards.